Ladies and gentlemen, the word of the day is: Consistency. That’s what we’re going to use to describe Haibane’s animation. Because it’s not 100% consistent. There are one or two episodes where it becomes just a touch messy, compared to the majority of the series. It will sometimes seems jarring and take away from the series, however, not by much. The rest of the animation is nice, full of rather subtle colors and dark undertones. And the music is simple enough. Violins, flutes, guitars; the soundtrack is an amazing blend of Irish sounding classical music. 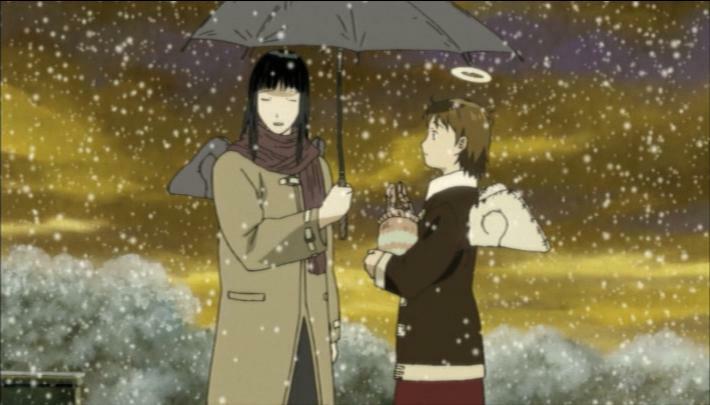 The story of Haibane Renmei is full of interesting themes of sin and redemption. However, we don’t really see those themes till half way through the series, and for good reason. As we follow Rakka through her new life as a Haibane, she stumbles across some new interesting questions about their culture and the mysterious town they live in. This helps bring in more mystery and curiosity for the viewer as well. And then when the main themes of the series make their appearance, all hell breaks loose. With the thought of sin and redemption, you would think there is some sort of religious thing involved. Not quite. There are many religious themes involved, however, it’s more of an allegory then a strict following of a certain religion. Because of this, the themes and symbols of this series not only shine, but make you think and question your own beliefs. As well as question some of the more interesting plot points of the series such as the wall surrounding the area. The characters are a diverse blend of personalities and ages, making the combination rather pleasant. 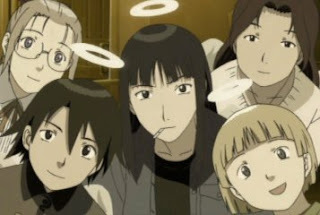 You have Rakka, the quiet, heart of gold newborn; Reki, the troubled soul; Hikari, the slight nerd; Kuu, the smallest one but with big dreams; Kana, the rebellious one; and Nemu, the voice of reason. Throughout the series, not many of the characters have any major development, leading to mostly reactions to certain plot points throughout the series. However, for Rakka and Reki (especially Reki), there is amazing character development. Reki alone, makes the series worth watching because, even though the story is told through Rakka, it’s Reki’s story. And it’s told in an interesting way. The dub for Haibane Renmei is an interesting subject to talk about. The reason being, it’s voiced by relative unknowns, save for Carrie Savage (Paranoia Agent, xxxHolic) as Rakka. If the story doesn’t keep your interest, then the dub cast surely will. With voice talents such as Erika Weinstein, Hunter MacKenzie Austin, J-Ray Hochfield, Kristy Pape, and Zarah Little; Haibane Renmei’s dub cast makes for a refreshing sound compared to the same voice actors we’ve been hearing over and over as of late. Having something different beside your Blums and Tatums, and Haberkorns is a very VERY nice change. 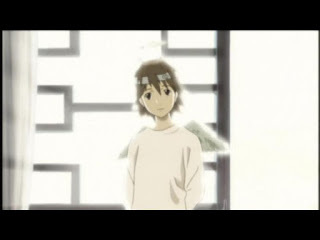 By the time of the Day of Flight, Haibane Renmei is a unique story with several religious themes and symbolism making you question sin and redemption. The animation and characters are interesting, and the dub is a fun listen. 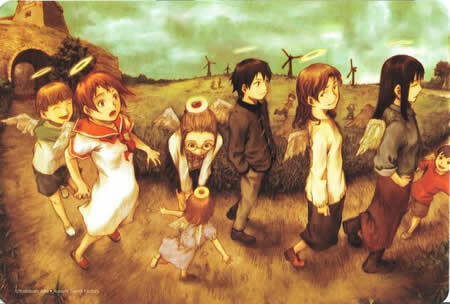 Haibane Renmei gets a full recommendation from me, and it is certainly one to be seen. Granted, you may have to watch it more then once to get more out of it. Next time, more viewer requests and racism! Until next time, otaku on my friends! If you're looking for a solid contextual ad network, I recommend you check out PropellerAds.